Age affects people differently, and can lead to significant physical and/or mental issues as the body and mind register the toll of living a long and full life. When it appears to family members and friends that an individual’s capacity to handle his/her affairs is compromised, they may look to the guardianship process for the means to intervene and inject the outside support needed to secure the person’s financial stability and physical/mental wellbeing. 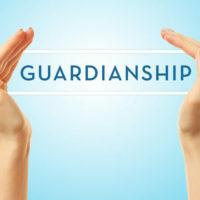 At its most basic, the guardianship process appoints a third party, ideally a family member or close friend, to take control of the financial and/or personal affairs of an individual no longer able to handle them. This is a big step, and very difficult to undo, so it should only be pursued if needed, but it can provide a lifeline to those struggling with debilitating physical and mental issues. While the tendency can be to wait too long to seek the appointment of a guardian, it can also come too soon. The latter scenario seems to be at work in the guardianship dispute former astronaut Buzz Aldrin is having with his business manager and two of his children over a guardianship petition filed in the spring. In response to the guardianship petition, Aldrin filed a separate legal action claiming breach of fiduciary duty, exploitation of the elderly, constructive fraud, undue influence, and more. These claims indicate Aldrin believes his manager and children are trying to take control of his businesses and foundations for their own use. Guardianship is a large issue in Florida, because of the number of seniors, and understanding the purpose and process of this system is important to those potentially affected. A discussion of what to expect from guardianship will follow below. What Is Guardianship and When Is It Used? Being an adult brings many rights and privileges, but maintaining them requires a person to be competent and have the capacity to understand financial and personal affairs. Guardianship means severing some or all of these rights and giving them to a third party, a guardian, to exercise, when it is determined an individual is legally incapacitated. Guardianship is supposed to be limited to the least restrictive transfer of authority, and the extent and type of power a guardian has depends upon the specific parameters of legal incapacity a person may be experiencing, i.e., is it just physical requiring help with personal affairs, a mental issue necessitating a guardian over property, or a combination of both. Important rights are at stake, such as the right to marry, sue, decide where to live, and make medical decisions, so its use should be limited to those situations in which leaving the person unaided would expose them to financial, physical, or mental harm. A guardian is the person or entity appointed by a court to assume the responsibilities the incapacitated individual, or ward, is no longer able to perform. The responsibilities and powers guardians hold depend upon the nature of the guardian: property vs. personal. A guardian over property holds and manages the ward’s assets for the ward’s benefit, and provides periodic accounting to the court, which describes any financial decisions made, as well as general inventory of assets owned. Personal guardians have control over the ward’s person, meaning they can direct medical decisions, personal care services, and decide the best living situation to meet the ward’s needs. Personal guardians must also report annual medical and personal care plans for the ward to the court for review and approval. As mentioned, guardians may be limited to the exercise of certain rights if a partial incapacity is found, and a guardianship attorney should be consulted about the particulars of this process and the role of the guardian to ensure proper oversight is provided. If you are facing the decision of initiating the guardianship process, or have questions about a current guardianship, talk to a skilled lawyer. With more than 30 years experience helping Florida seniors with end-of-life and estate issues, Oldsmar attorney William Rambaum can assist you with navigating this complicated process. Contact the office to schedule an appointment.